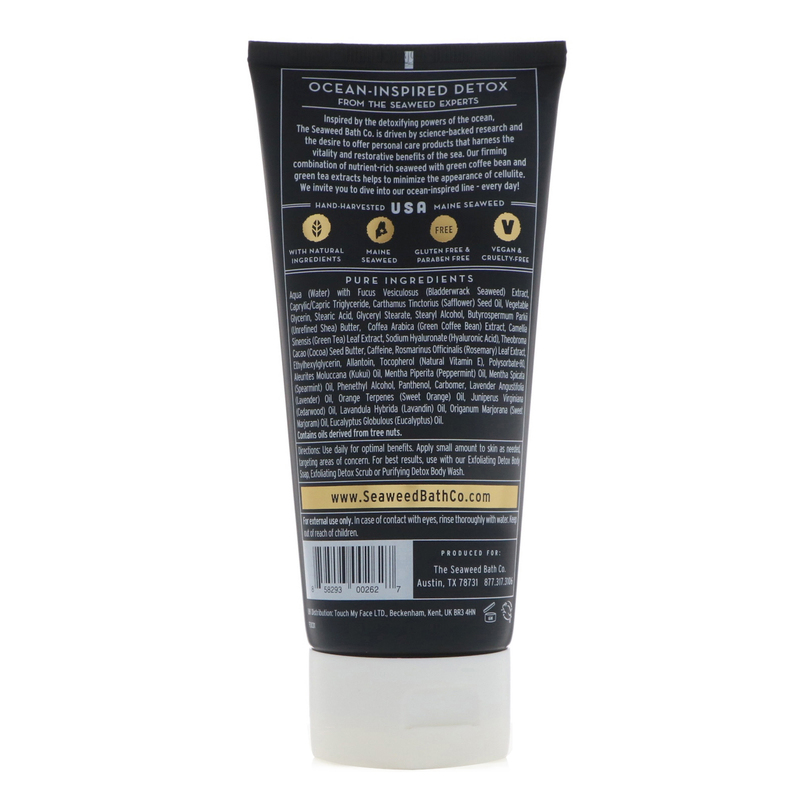 Brands A-Z The Seaweed Bath Co. Inspired by the detoxifying powers of the ocean, The Seaweed Bath Co. is driven by science-backed research and the desire to offer personal care products that harness the vitality and restorative benefits of the sea. 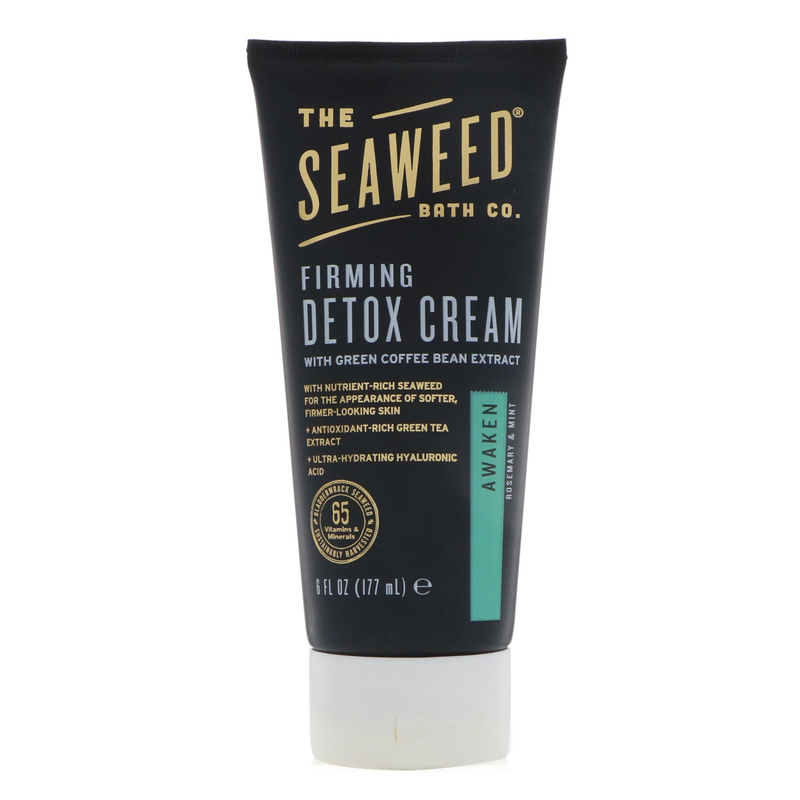 Our firming combination of nutrient-rich seaweed with green coffee bean and green tea extracts helps to minimize the appearance of cellulite. We invite you to dive into our ocean-inspired line - every day! Use daily for optimal benefits. Apply small amount to skin as needed, targeting areas of concern. For best results, use with our Exfoliating Detox Body Soap, Exfoliating Detox Scrub or Purifying Detox Body Wash.
Aqua (water) with fucus vesiculosus (bladderwrack seaweed) extract, caprylic/capric triglyceride, carthamus tinctorius (safflower) seed oil, vegetable glycerin, stearic acid, glyceryl stearate, stearyl alcohol, butyrospermum parkii (unrefined shea) butter, coffea arabica (green coffee bean) extract, camellia sinensis (green tea) leaf extract, sodium hyaluronate (hyaluronic acid), theobroma cacao (cocoa) seed butter, caffeine, rosmarinus officinalis (rosemary) leaf extract, ethylhexylglycerin, allantoin, tocopherol (natural vitamin E), polysorbate-80, aleurites moluccana (kukui) oil, mentha piperita (peppermint) oil, mentha spicata (spearmint) oil, phenethyl alcohol, panthenol, carbomer, lavender angustifolia (lavender) oil, orange terpenes (sweet orange) oil, juniperus virginiana (cedarwood) oil, lavandula hybrida (lavandin) oil, origanum marjorana (sweet marjoram) oil, eucalyptus globulous (eucalyptus) oil. Contains oils derived from tree nuts. For external use only. In case of contact with eyes, rinse thoroughly with water. Keep out of reach of children.